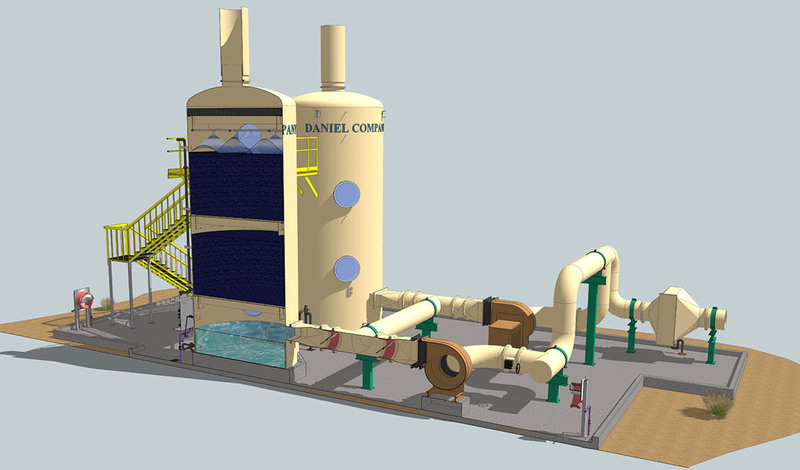 Daniel Company produces technologically advanced Biological Filter Systems (BioDAN) for efficient and low-operational cost odor control applications. 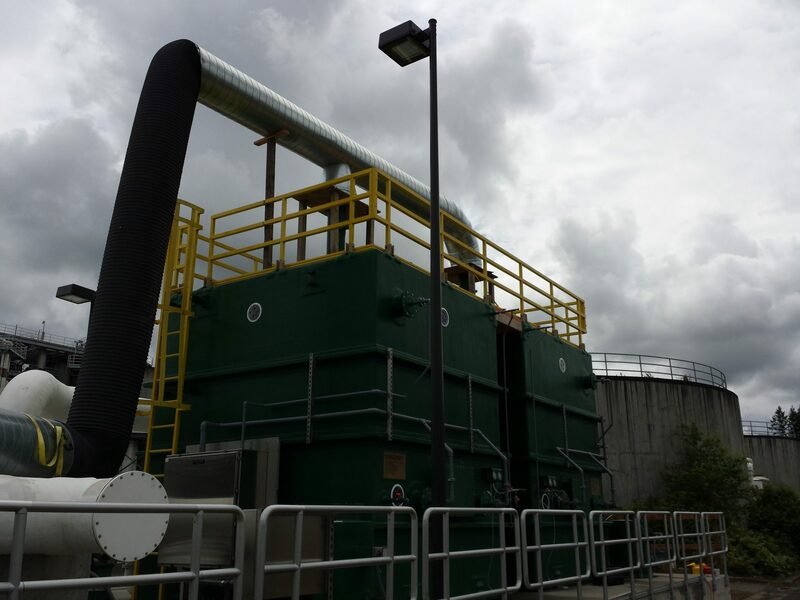 The BioDAN systems can range in size from small, bench-scale pilot units to some of the largest odor control systems in the world. Our BioDAN Series is available in low-footprint or low-profile designs, and can be either round or rectangular. The BioDAN series operates without the use of chemicals and without creating harmful, effluent byproducts. The BioDAN Biofilter Series features the simplest type of biological system. This design utilizes once-through irrigation with an optional nutrient injection. 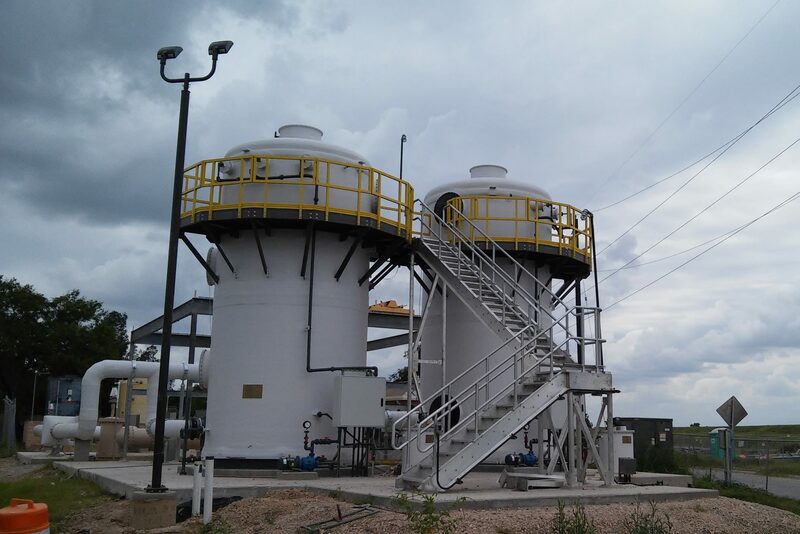 The BioDAN Biofilter is ideal for sites with low maintenance availability and with relatively consistent odor concentrations. 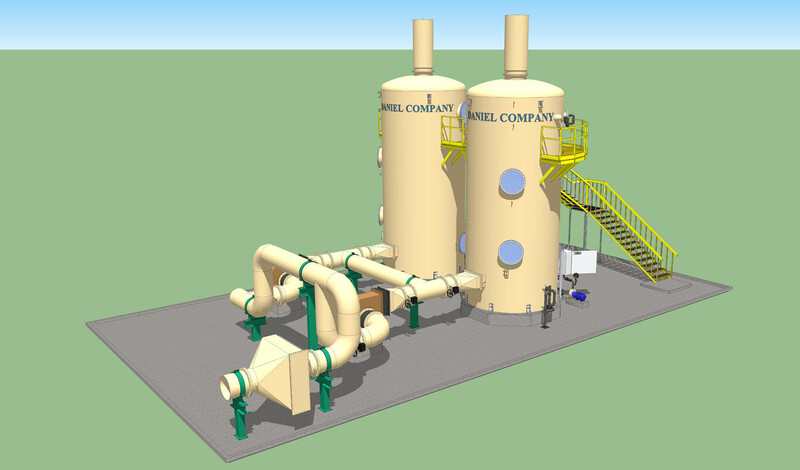 This system is intended to operate in pH neutral conditions and with foul airflows primarily made up of Volatile Organic Compounds and/or Reduced Sulfur Compounds. The BioDAN Series is ideal for applications that have highly variable H2S concentrations and other odors. 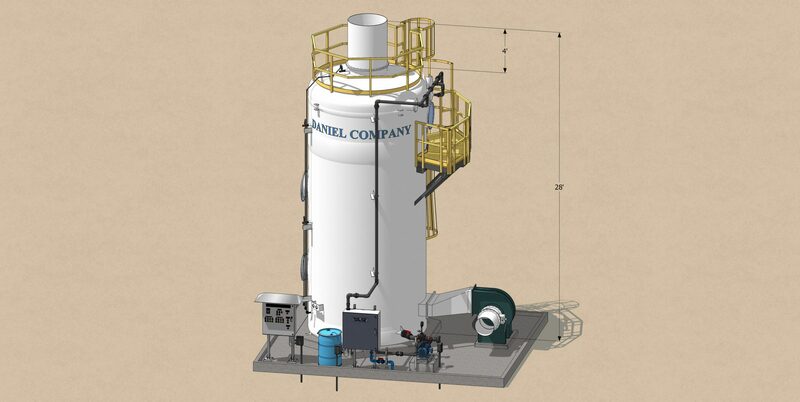 These reliable and long-lasting systems help reduce site footprint demands and reduce operation and maintenance costs. Once installed, there is virtually no maintenance and very few operational checks required. The BioDAN utilizes recirculated water to allow for a shorter acclimation period, with an option to easily transition to once-through, single-pass irrigation for ideal odor removal. 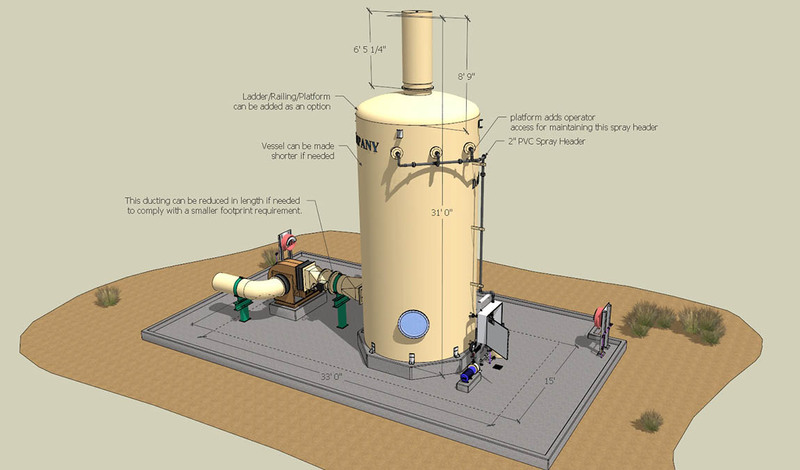 Using industry-proven bioscrubbing technology, this system incorporates the use of two irrigation techniques: recirculation and once-through irrigation. The BioDan Series or the BioDan Hybrid Series are better suited for foul airflows of high H2S concentration. The BioDAN Hybrid Series combines process from the Biofilter and the BioDAN in order to treat unique odor control problems. Our hybrid technology features the ability to use once-through and trickling methods within the same vessel. This system utilizes natural lava rock or synthetic media with high surface area in conjunction with a higher empty bed residence time. The BioDAN Hybrid Series is ideal for cases where H2S and odors which are more difficult to remove are present in the air stream or in highly sensitive areas. 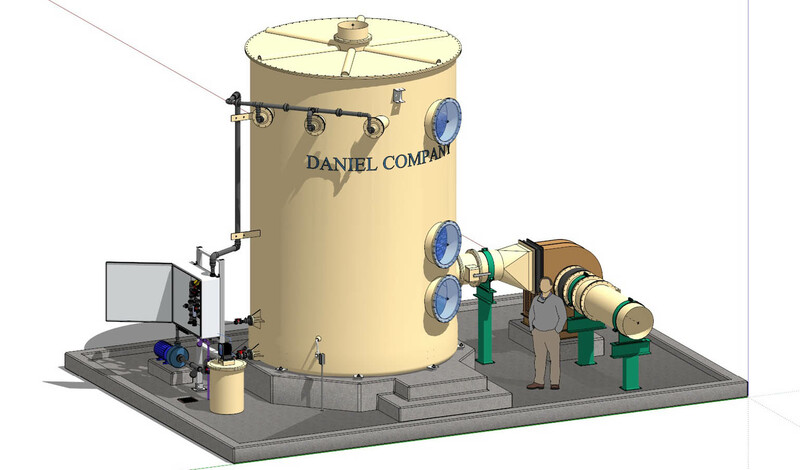 In addition to treating high H2S concentrations, this system is also ideal in treating Volatile Organic Compounds and Reduced Sulfur Compounds.